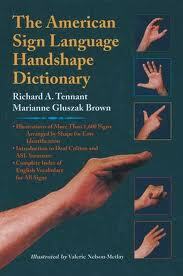 Description: ASL 4 is a time for students to put their vocabulary in action. How? By giving presentations on different health ailments, reporting on different cultures and by telling stories. They will explore OIC movies to learn how deaf people communicate differently. Through these avenues, the students will be evaluated by specific ASL Grammar requirements to ensure enhanced skills. Note: This class will be scheduled according to the enrolled students' availability and it will be shortened to 60 minutes in length. 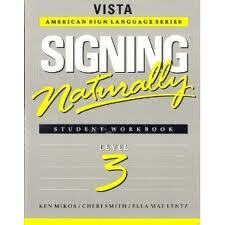 Tutor: Jill Mann-Porvaznik has an AAS in Sign Language Interpreting & Transliterating from Saint Paul Technical College. 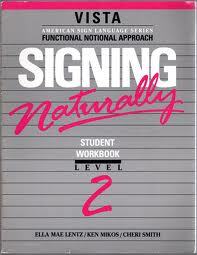 In 2008, Jill became a nationally certified interpreter through the Registered Interpreters for the Deaf, RID. She is a CODA, Child Of Deaf Adults. Because her parents are deaf, her first language is ASL. She enjoys meeting new people while working as an interpreter in education, freelance and video relay. She has received a BA from Metropolitan State University in Multicultural Studies. She is eager to share the language that she is passionate about to others in the community.